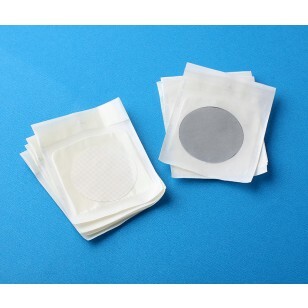 Sterile Gridded MCE Membrane Filters - Products | Simsii, Inc.
Mixed Cellulose Acetate or MCE membrane filters from Simsii are suitable for sterility testing and colony counting. These are naturally hydrophilic membranes with gridded surface. It makes them perfect for research and analytical applications. They have a high recovery rate for microorganisms. The calibrated MCE media is designed for optimized flow rates and they are gamma irradiated for sterilization purposes. Our range of gridded MCE membrane filter is available in different pore sizes to suit different requirements of microbial analysis. The clearly defined grid lines are spaced at an interval of 3.1 mm and they are completely non-toxic. The large surface area is available for higher absorption of particles. You can opt for sterile MCE membranes for critical applications. Call us to order now or know more about this product.